Hundreds of thousands of homes are at risk of chronic flooding due to sea level rise over the coming decades. The implications for coastal residents, communities, and the economy are profound. Interactive maps show how many homes are at risk by state, community, and ZIP Code. The maps also show the current property value, estimated population, and the property tax base at risk. Data and fact sheets for coastal Congressional districts are also available. 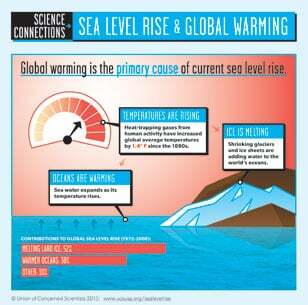 Sea levels are rising. Tides are inching higher. High-tide floods are becoming more frequent and reaching farther inland. And hundreds of US coastal communities will soon face chronic, disruptive flooding that directly affects people's homes, lives, and properties. This analysis looks at what's at risk for US coastal real estate from sea level rise—and the challenges and choices we face now and in the decades to come. If you or somebody you know is looking at coastal real estate, here are some smart questions to ask about tidal flooding. Read the brochure online or print it using this printer-friendly layout. Long before rising seas permanently submerge properties, millions of Americans living in coastal communities will face more frequent and disruptive high-tide flooding. As this flooding increases, it will reach a threshold where normal routines become impossible and coastal residents, communities, and businesses are forced to make difficult, often costly choices. For this analysis, that threshold is defined as flooding that occurs 26 times per year (on average, once every other week) or more, a level of disruption referred to as chronic inundation. It is important to note that this flooding is not caused by storms—it is simply the result of high tides rising higher, and reaching farther inland, as sea levels rise. The results identify the number of residential and commercial properties at risk of chronic inundation—and the total current property value, estimated population, and property tax base affected—for the entire coastline of the lower 48 states. By the end of the century, homes and commercial properties currently worth more than $1 trillion could be at risk. This includes as many as 2.4 million homes—the rough equivalent of all the homes in Los Angeles and Houston combined—that are collectively valued today at approximately $912 billion. The properties at risk by 2045 currently house 550,000 people and contribute nearly $1.5 billion toward today's property tax base. Those numbers jump to about 4.7 million people and $12 billion by 2100. States with the most homes at risk by the end of the century are Florida, with about 1 million homes (more than 10% of the state's current residential properties); New Jersey, with 250,000 homes; and New York with 143,000 homes. It is also important to note that these results do not include future development or new homes, nor do they include critical infrastructure such as roads, bridges, power plants, airports, ports, public buildings, and military bases. When all of these are taken together, the effects of chronic flooding could have staggering economic impacts. The challenges and choices that come with rising seas are profound and have significant implications for coastal residents, communities, and the broader economy. Homeowners and commercial property owners are at risk of steep financial losses if their properties flood regularly. Declining property values could erode the tax base for communities, jeopardizing funding for vital local services and infrastructure, such as roads, schools, and police and fire departments. 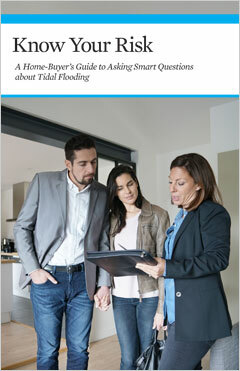 Mortgages on homes that could become chronically flooded during the term of the loan are inherently riskier. As flooding becomes more frequent, the value of flooded homes will decline and many homeowners could find themselves with mortgages that exceed the value of their homes, or with homes that are increasingly difficult to insure or have even deteriorated to the point of being unlivable. With no obvious option for reversing that trend, some might choose to abandon their homes and allow banks to foreclose on their mortgages. Banks holding these risky mortgages on devalued properties could then find their financial position adversely affected. Mortgage-backed securities and bonds tied into these riskier coastal real estate mortgages will be at risk of losing value. Real estate developers and investors as well are at risk of losing money invested in properties that become chronically flooded. Once market risk perceptions catch up with reality, the potential drop in coastal property values could have broad reverberations—affecting banks, insurers, investors, developers, and taxpayers—and potentially trigger regional housing market crises as well as affect the broader national economy. To better understand the financial implications of the risks of sea level rise to coastal property markets and the wider economy, this analysis gathered perspectives from local officials as well as market experts. These included representatives from credit rating agencies, insurers, real estate investors, bond investment advisors, and mortgage and real estate industry experts. Given the enormity of the risks from sea level rise, communities, states, businesses, and the federal government all need to take action to prepare. A crucial first step is for communities, policymakers, and the financial sector to know the risks and amount of time they have available for a robust response. The nation must also implement policies that reduce the carbon emissions that cause global warming, including investments in clean energy solutions; re-orient policy and market incentives to better reflect the risks of sea level rise and build coastal resilience while also ensuring that resources are targeted to low-income and otherwise disadvantaged communities; and adopt bold, transformative policies that foster new frontiers of opportunity on safer ground for those who may have to retreat from high-risk areas. 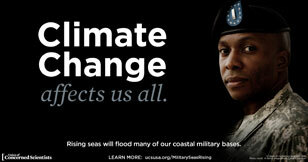 The risks of rising seas are profound. Many of the challenges they bring are inevitable. And our time to act is running out. There is no simple solution—but we do still have opportunities to limit the harms. Whether we react to this threat by implementing science-based, coordinated, and equitable solu­tions—or walk, eyes open, toward a crisis—is up to us right now. To determine the number of coastal properties at risk from this level of chronic flooding, the analysis uses property data from the online real estate company Zillow combined with the findings of the 2017 analysis, When Rising Seas Hit Home: Hard Choices Ahead for Hundreds of US Coastal Communities, which uses a peer-reviewed methodology to assess areas at risk of chronic inundation. A high scenario that assumes a continued rise in global carbon emissions and an increasing loss of land ice; global average sea level is projected to rise about 2 feet by 2045 and about 6.5 feet by 2100. An intermediate scenario that assumes global carbon emissions rise through the middle of the century then begin to decline, and ice sheets melt at rates in line with historical observations; global average sea level is projected to rise about 1 foot by 2035 and about 4 feet by 2100. A low scenario that assumes nations successfully limit global warming to less than 2 degrees Celsius (the goal set by the Paris Climate Agreement) and ice loss is limited; global average sea level is projected to rise about 1.6 feet by 2100. For more information on the sources and methodology used for this analysis, please see the full report and technical backgrounder. Data provided by third parties through the Zillow Transaction and Assessment Dataset (ZTRAX). More information on accessing the data can be found at https://www.zillow.com/ztrax. The results and opinions presented in this report are those of the Union of Concerned Scientists and do not reflect the position of Zillow Group. This research is intended to help individuals and communities appreciate when sea level rise may place existing coastal properties (aggregated by community) at risk of tidal flooding. It captures the current value and tax base contribution of those properties (also aggregated by community) and is not intended to project changes in those values, nor in the value of any specific property. The projections herein are made to the best of our scientific knowledge and comport with our scientific and peer review standards. They are limited by a range of factors, including but not limited to the quality of property-level data, the resolution of coastal elevation models, the potential installment of defensive measures not captured by those models, and uncertainty around the future pace of sea level rise. More information on caveats and limitations can be found at www.ucsusa.org/underwater.